Bubbaroo’s Platinum Joey Swag® sleeping bags are a luxury upgrade. All Platinum Joey Swags are made from organically grown 500 thread count cotton sateen. Our 1.5TOG and 2.5TOG are padded with Australian Wool and carry the Woolmark logo. Our Platinum Joey Swag® baby sleeping bags are the ultimate in luxury and have been specially designed for bub to move freely while staying covered. This means safely to sleep and staying asleep without a peep. We’ve got your bub covered with four Platinum Joey Swag sizes – Little Baby Joey for up to 6 months, Older Baby Joey for 6-18 months, Toddler Joey for 18-36 months and Child Joey for 3-6 years. 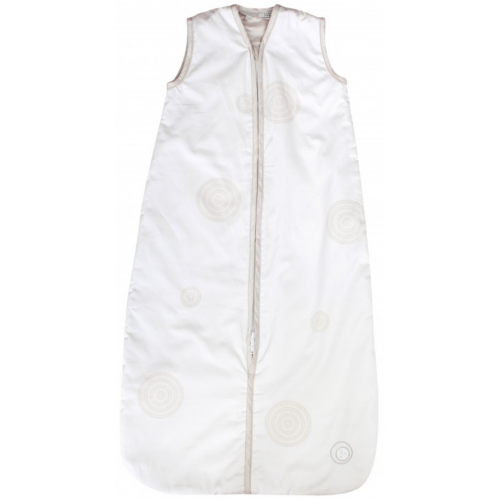 The Platinum Joey Swag® is a safe n’ sound sleeping bag designed to be used without a doona, blanket or top sheet. Our 1.5TOG and 2.5TOG Joey Swags are padded with Australian Wool. The zip-up system means bub can’t slip down inside the bag or get caught in the cot bars. On our 0-6month Joey Swags, we use YKK brand press studs and all Joey Swags have 2-way zippers with zip guards. A top box zip cover features across our Platinum Range. All our Joey Swags comply with British Standard BS 8510:2009 Safety of children’s sleep bags and AS/NZ 1249 Children’s nightwear and limited daywear as having reduced fire hazard. We’ve designed all of our Swags to fit bub as they grow, giving them sufficient squirmy room to move n’ groove without becoming uncovered. In our Platinum range, our four easy care sizes and varying weights keep bub at just the right temperature– light (24-27 degrees), medium (21-23 degrees) and heavy (10-20 degrees). You can adios your army of bed linen because using the Joey Swag® means no more top sheets and blankets. The bottom opening zip gives you a quick nappy change. Our go anywhere travel system accommodates a 3 or 5-point harness of a car seat or pram. Beautiful Platinum magnet gift box packaging means our Platinum range makes the perfect gift. Our Platinum Joey Swags® are made from 100% breathable, natural fibres that are gentle on bub’s skin. The exterior and lining are organically grown 500 Thread Count Cotton Sateen – silky smooth and luxurious. Bubbaroo’s stylish range is available in four easy-care sizes and three TOGs/weights. YKK brand zipper and YKK brand press stud. BS8510:2009 and AS/NZ1249 safety approved for complete peace of mind.